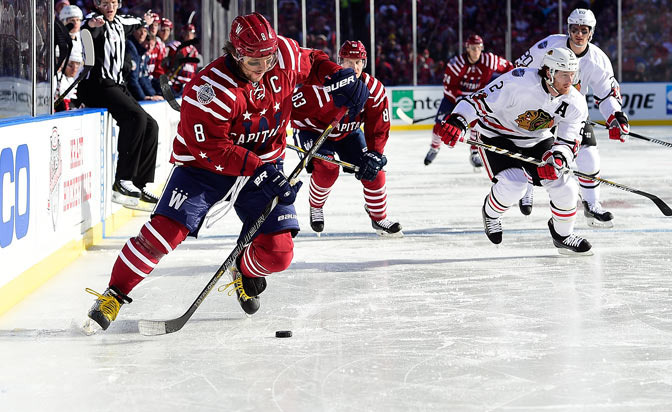 NHL Network recaps the 2015 Bridgestone NHL Winter Classic between the Blackhawks and Capitals. 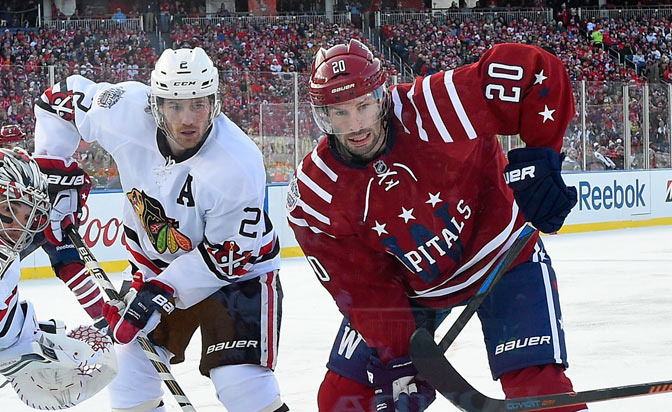 Capitals forward Troy Brouwer scores the game-winning goal with 12.9 seconds left in the 2015 NHL Winter Classic. 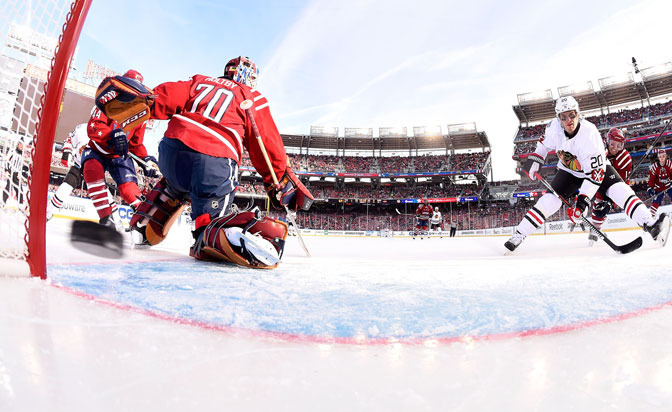 Watch Net Cam view of Blackhawks forward Brandon Saad scoring the game-tying goal at the NHL Winter Classic. 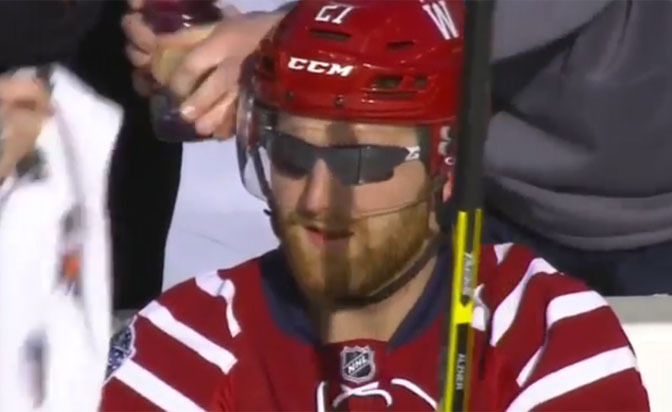 Capitals defenseman Karl Alzner wears sunglasses during the 2015 NHL Winter Classic. 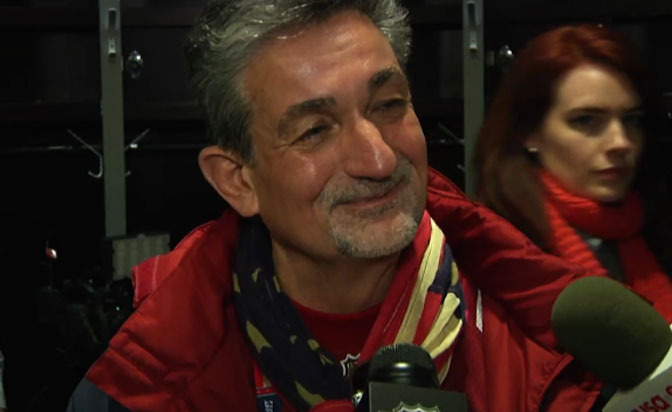 Capitals owner Ted Leonsis discusses his team's thrilling victory at Nationals Park. Washington, DC is known for being a destination rich in stirring monuments and free, world-class museums. Here's your guide to 100's of free (and almost free) things to do in DC, as well as restaurants, neighborhood guides, tips on how to get around, and suggested itineraries. NHL.com is the official web site of the National Hockey League. NHL, the NHL Shield, the word mark and image of the Stanley Cup, Center Ice name and logo, NHL Conference logos and NHL Winter Classic name are registered trademarks and Vintage Hockey word mark and logo, Live Every Shift, Hot Off the Ice, The Game Lives Where You Do, NHL Power Play, NHL Winter Classic logo, NHL Heritage Classic name and logo, NHL Stadium Series name and logo, NHL All-Star Game logo, NHL Face-Off name and logo, NHL GameCenter, NHL GameCenter LIVE, NHL Network name and logo, NHL Mobile name and logo, NHL Radio, NHL Awards name and logo, NHL Draft name and logo, Hockey Fights Cancer, Because It's The Cup, The Biggest Assist Happens Off The Ice, NHL Green name and logo, NHL All-Access Vancouver name and logo, NHL Auctions, NHL Ice Time, Ice Time Any Time, Ice Tracker, NHL Vault, Hockey Is For Everyone, and Questions Will Become Answers are trademarks of the National Hockey League. All NHL logos and marks and NHL team logos and marks depicted herein are the property of the NHL and the respective teams and may not be reproduced without the prior written consent of NHL Enterprises, L.P. © NHL 2013. All Rights Reserved. All NHL team jerseys customized with NHL players' names and numbers are officially licensed by the NHL and the NHLPA. The Zamboni word mark and configuration of the Zamboni ice resurfacing machine are registered trademarks of Frank J. Zamboni & Co., Inc. © Frank J. Zamboni & Co., Inc. 2013. All Rights Reserved.